Muko Health Center IV (MHC) is located in the southwestern part of Uganda in an area that has mountainous terrain composed of many fertile, heavily cultivated hills and beautiful, spectacular valleys, which contribute to poor accessibility with an inadequate road network and poor mobile telecommunications coverage. arrived in rural Uganda, Grace was seen at the health center for bleeding during her first trimester of pregnancy. The facility did not have an ultrasound to evaluate the pregnancy nor did it have the surgical instruments to perform a D & C, a surgical procedure for miscarriage, if needed. She was instructed to go to the nearest hospital 30 km (more than 18 miles) away. Lacking any means of transportation, Grace decided to make the two-hour walk back home to rest. Two days later, her bleeding became a lot heavier and men from her village carried her for two hours on a wicker stretcher. They were spotted by Jasmin, one of our student volunteers, as they walked past the health center where we were busy training surgeons and midwives. 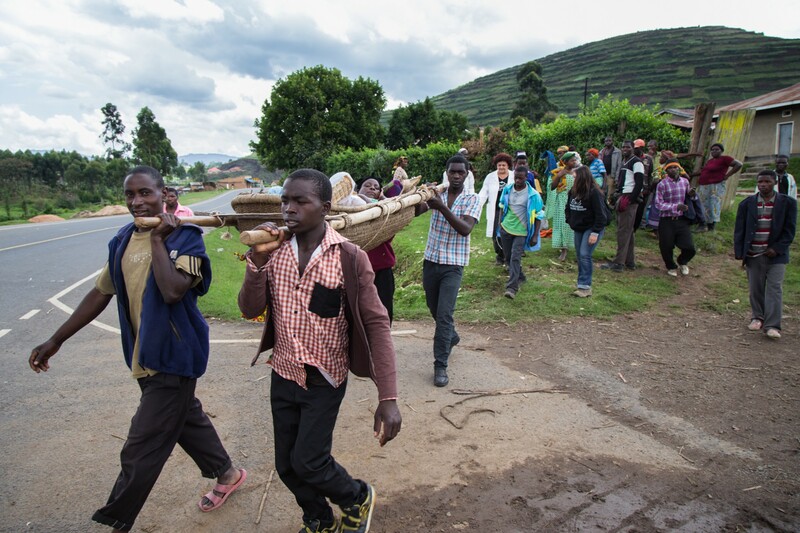 The men were on their way to the larger hospital in Kabale, 30 km away. We ran down to the road, enlisting the help of one of the student nurses to translate. A quick evaluation along the roadside revealed that Grace was in danger of bleeding to death. Hemorrhage is the number one cause of death in women with a pregnancy complication. Women die when well meaning but unskilled helpers do not recognize the life-threatening nature of the mother’s condition. One woman dies every two minutes due to pregnancy complications. 99% of these maternal deaths occur in developing countries and almost all of them are preventable with simple methods. We told the men that Grace would die if they kept walking. We convinced them to carry her up to our health center. At the center the midwives quickly started an IV to resuscitate her and stabilized her. Sadly, Grace did have a miscarriage, but her life was saved. 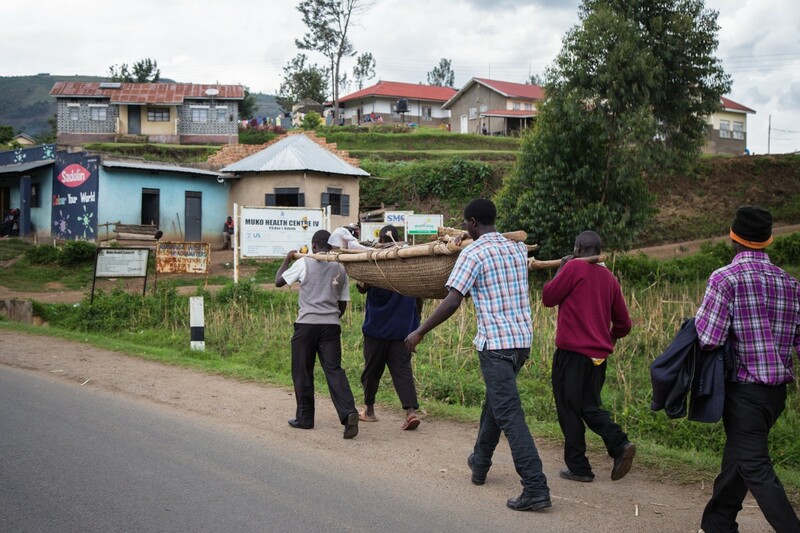 In many parts of rural Uganda there is no good means of transportation for those in need of medical care. Pregnant women may have to walk for hours to reach the nearest health center, making this an impossible journey while in labor. Some mothers make the walk before they go into labor and wait for as long as a month for delivery. Most centers do not have adequate facilities for these mothers in waiting so they sleep on dirt floors, in hallways and anywhere they can find space. Other mothers deliver at home without skilled care which contributes to the high maternal and infant mortality. 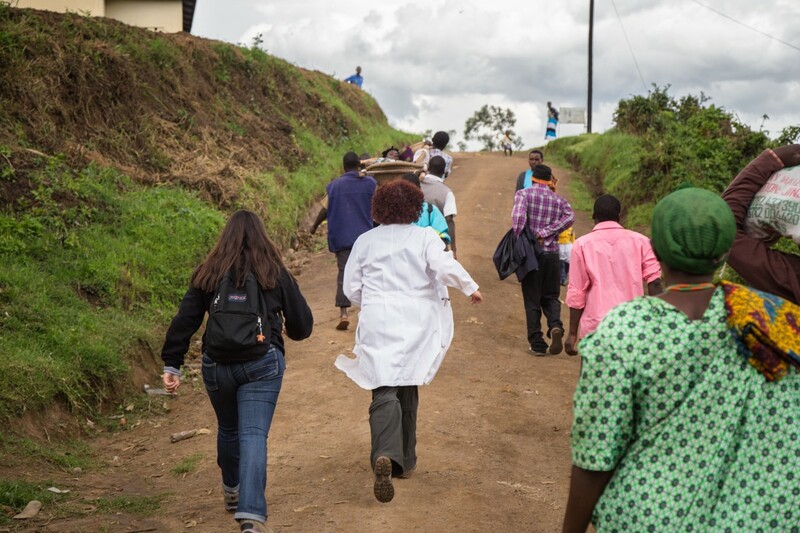 Each village has a group of volunteers who organize themselves to carry a patient to the nearest health center, often over rugged terrain where no vehicle can travel. The midwives at the health center told us that you can tell how far they have traveled carrying the woman by how many men accompany her. They recalled one time there were as many as 100 men who had carried a woman over eight miles. Thanks to the generosity of our supporters, Worldwide Healing Hands was able to provide the needed equipment for Grace as well as other mothers. 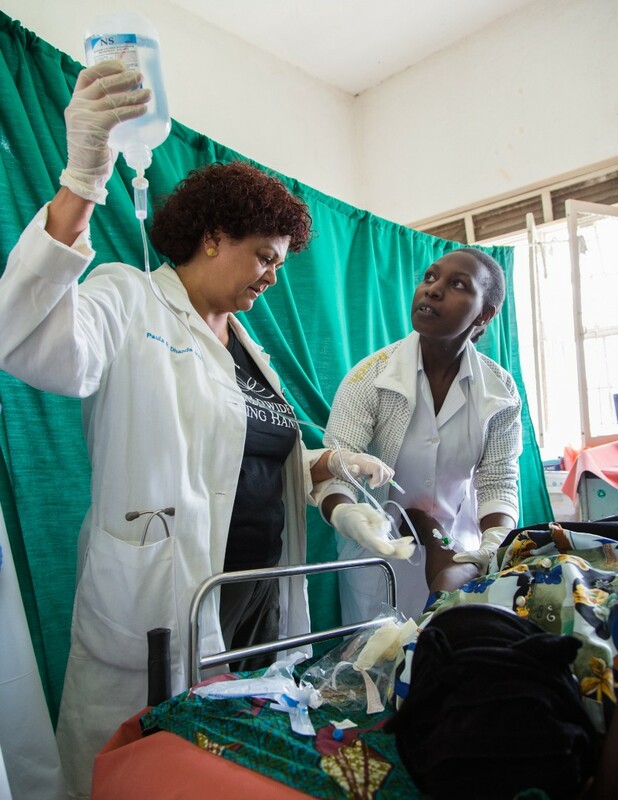 Our work is sustainable because our experienced volunteers share their knowledge and skills with local doctors and midwives in the areas of our missions so they can carry on this life-saving work. I simply want to tell you that I am just beginner to blogs and absolutely loved your blog site. Likely I’m likely to bookmark your blog post . You absolutely come with good article content. Thanks a bunch for sharing your website.